Slovenia is a small country offering incredible panoramas at every step. 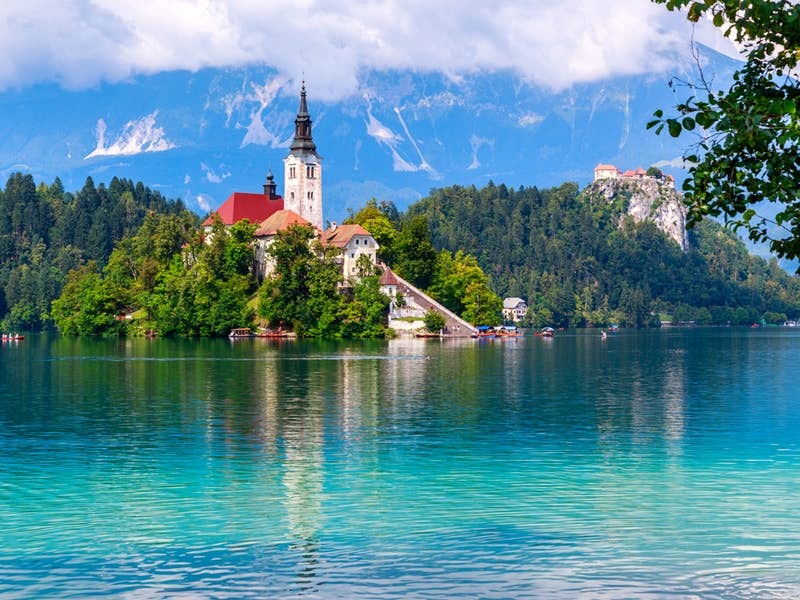 A tour to Slovenia offers something for everyone – there are beaches and historical towns for culture enthusiasts, hikes and adventure sports for active travelers, while olive groves and vineyards for gourmands. Moreover, it is one of the most affordable European countries you would ever travel to! So, travel Europe on a budget with our 8-days Slovenia tour itinerary. 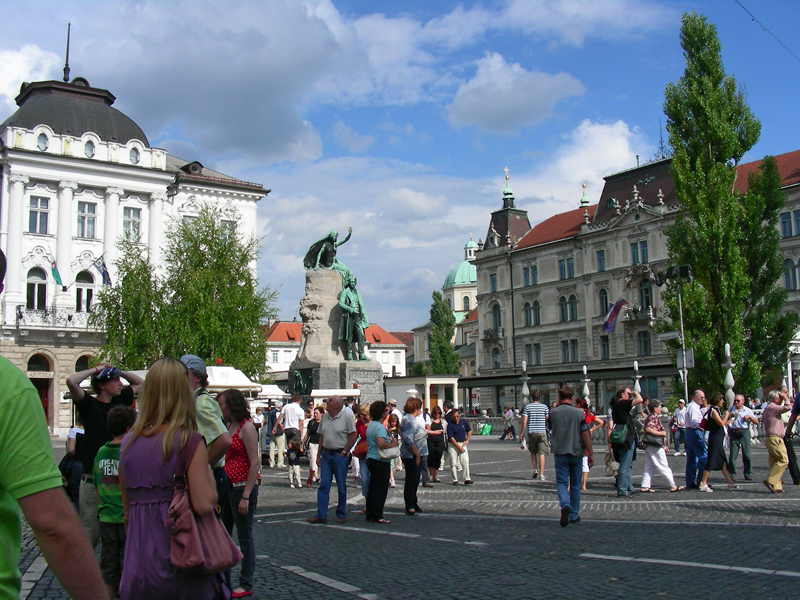 The capital city of Ljubljana is well linked from most cities in Europe. It is also possible to land into one of the neighboring countries and then take a taxi to Ljubljana. 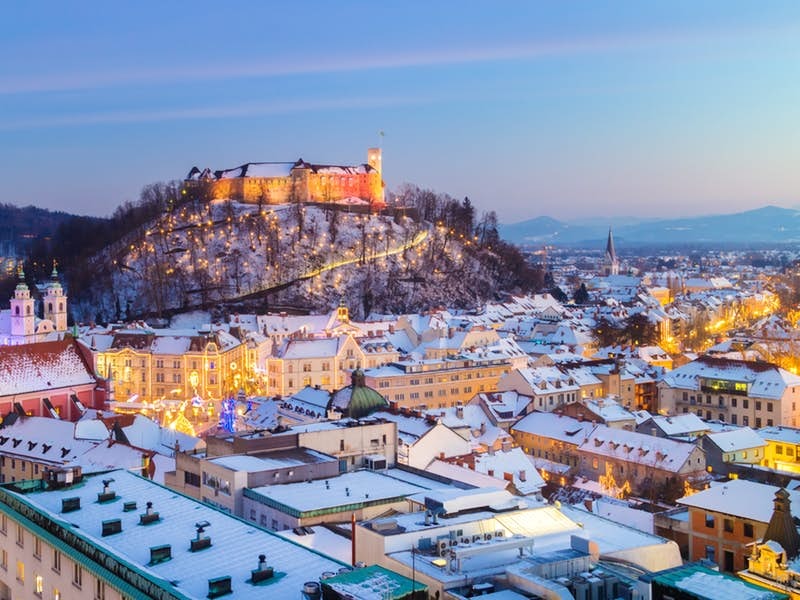 In case you are staying in a hotel in downtown Ljubljana, then abstain from picking up your rental car at this stage as the parking is quite costly and also not readily available in the center. Instead, opting for a cab is a better option. 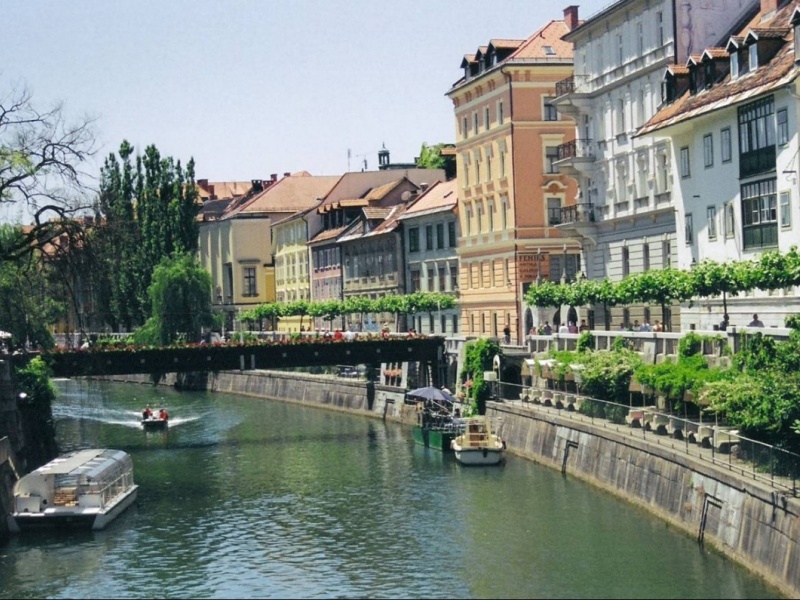 Ljubljana is one of the most lovely European cities. The cobblestoned alleys of the city are lined with bars, cafes, and restaurants, but it still continued to retain its old world charm. This combination makes it irresistible to tourists. Explore Metelkova Mesta, which is an alternative complex boasting of a lot of street art and urban culture. The architect, Plecnik, is hugely responsible for the way Ljubljana looks in today’s time. Visit Plecnik’s captivating house situated in the suburb of Krakovska, just a short walk away from the center. Even if you do not wish to visit the museum, the lovely suburb makes for a wonderful afternoon walk. Go for a drive to the scenic cathedral at Hrase. It is located less than 20 minutes away from Ljubljana but offers a perfect taste of the Slovenian countryside. Relishing a morning at the Skocjan caves – these mysterious caves are less famous in comparison to the Postojna caves and this makes them perfect because there are fewer visitors. A 2-hour tour introduces tourists to these unique caves. Discover stalactites and stalagmites made out of limescale, distinctive room-like formations, and pools of waters. Inside the caves, it is quite dark which only amplifies the mystery of this natural phenomenon. Though photography is not allowed during the tour you still can click photos on getting out of the caves. You can even go on a picturesque hike on leaving the cave. After wandering through the caves and hiking in the area, you must be feeling quite hungry. Enjoy a picnic in the countryside. A visit to Domacijasajna Essen is recommended if you are in the mood for a sit-down lunch. The amazing restaurant boasts of tables under vines. It offers generous portions of hearty traditional Slovenian food including creamy risottos, flavourful olive oil with freshly-baked bread and decadent prosciutto ham. After lunch, head out to explore the area. Stop by the ancient village of Stanjel having characteristic orange roofs. The spectacular village has collapsing ruins and a castle with a commanding view. Wandering through Stanjel is like stepping back in time. It is highly recommended. Make your way to Predjama Castle, which is a huge Renaissance castle carved into a cave. The castle is surrounded by never-ending meadows and boasts a stunning viewpoint of the Slovenian countryside. 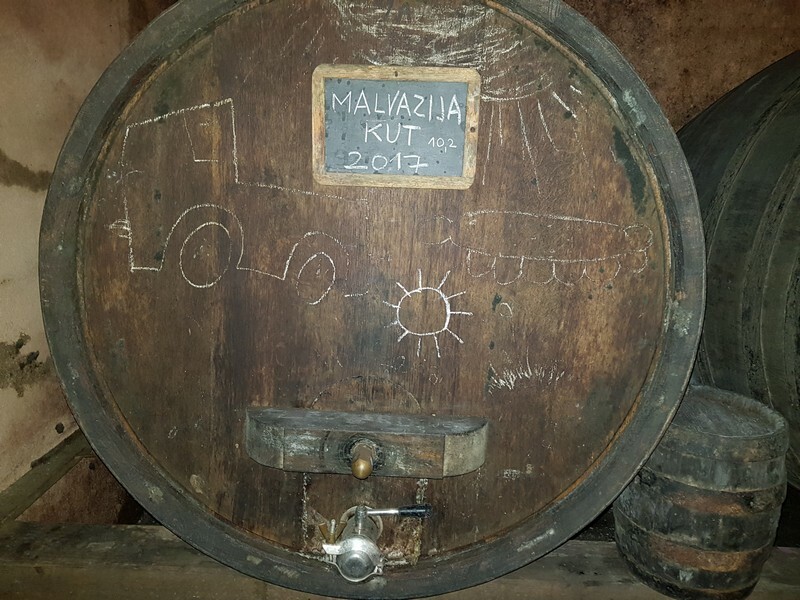 Spend the entire evening driving through Vipava Valley. 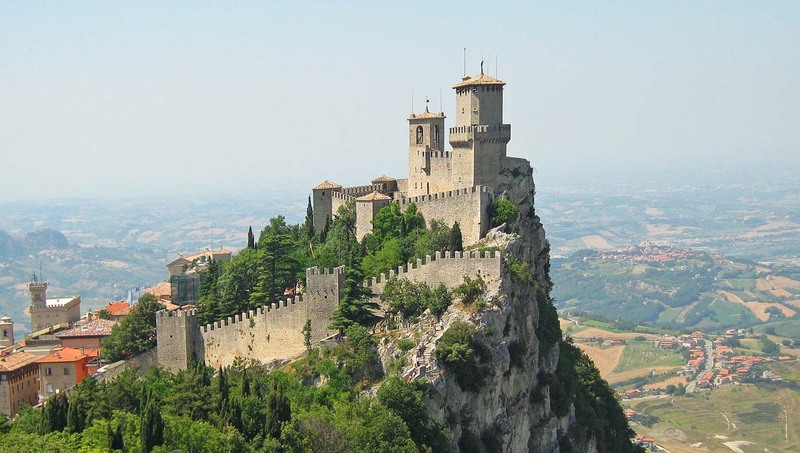 The area is famous for its vineyards and olive groves and can be thought of as an offbeat Tuscany. 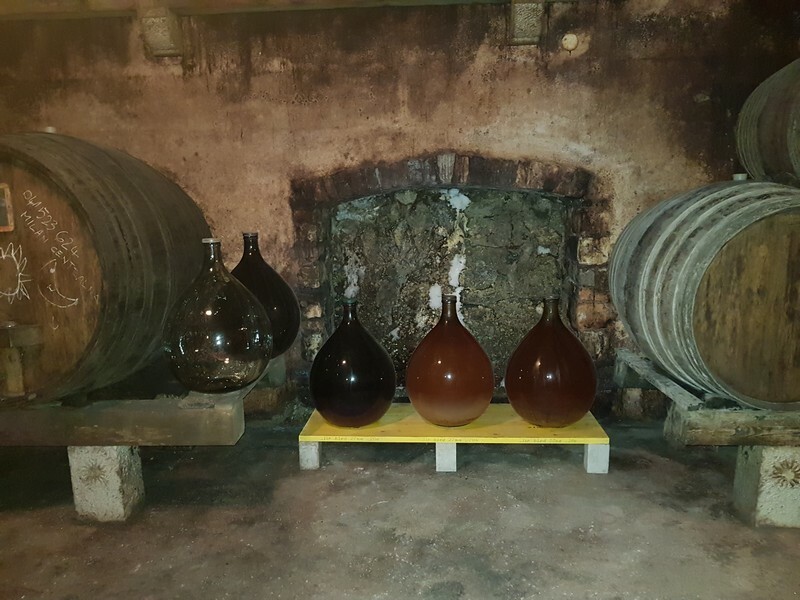 You’ll get a lot of opportunities for wine tasting in Vipava Valley. Make your way to Wine Bar and Shop Faladur, which is a boutique gourmet wine tasting experience. 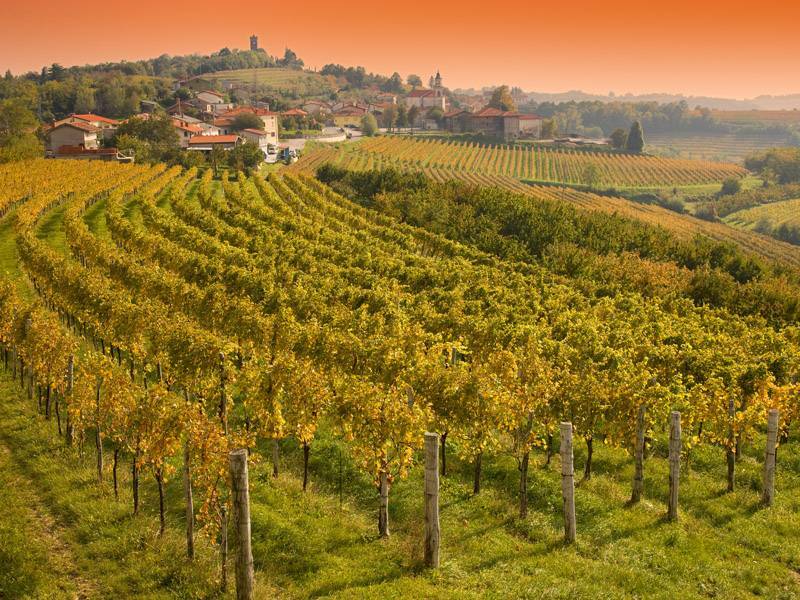 This is also an ideal place to pick up a bottle of Slovenian wine enjoying the beautiful scenery. 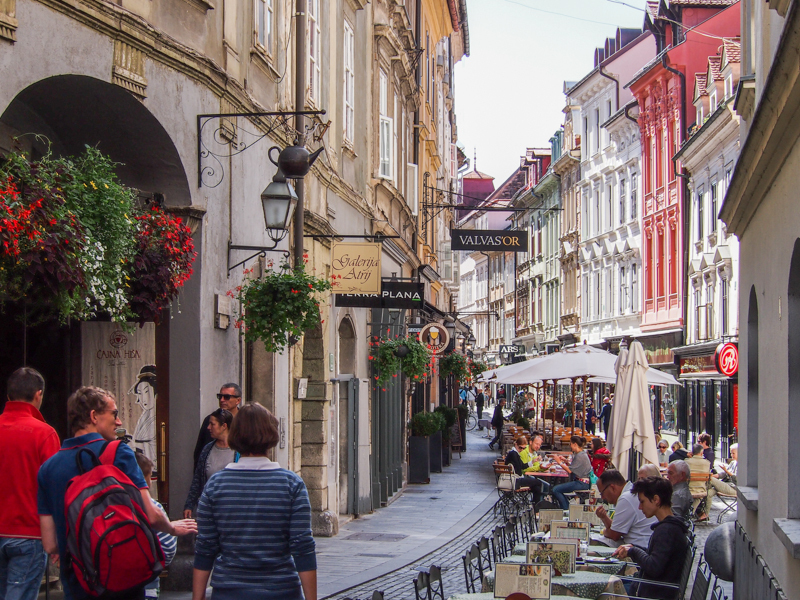 After a busy day of touring the Karst Region and Vipava Valley, make your way back to your hotel in Ljubljana. Today is the time to take a short break from touring the lush green countryside and make your way to the sparkling azure waters of the Adriatic Coast. Thanks to Game of Thrones, which have made sure that Dubrovnik is now one of the most frequently visited cities in Europe. 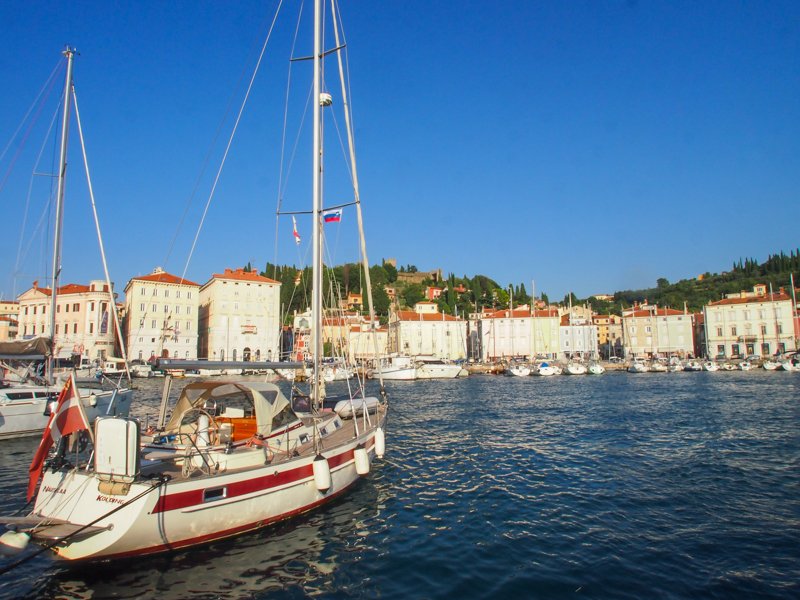 If you wish to escape the tourist hordes and experience the grandeur of the Adriatic Coast, travel to the Slovenian seaside towns of Piran, Portoroz, and Izola. Gaze at historical towns having terracotta rooftops rimmed by azure water. Climb the ancient walls of Piran and know the beauty in its truest form. Spend your days here sampling fresh seafood in waterfront eateries, sipping on cocktails, or simply sunbathing. 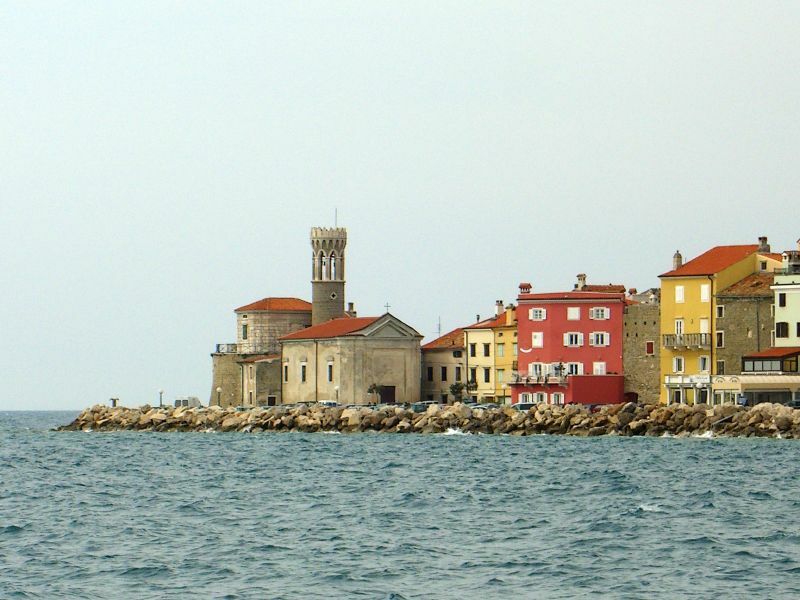 In case you happen to be short on time, you can also easily explore the Adriatic Coast on a day trip from Ljubljana. However, if you have enough time with you, then staying in Izola for a night or two is highly recommended as Piran can get quite crowded during the summer months. 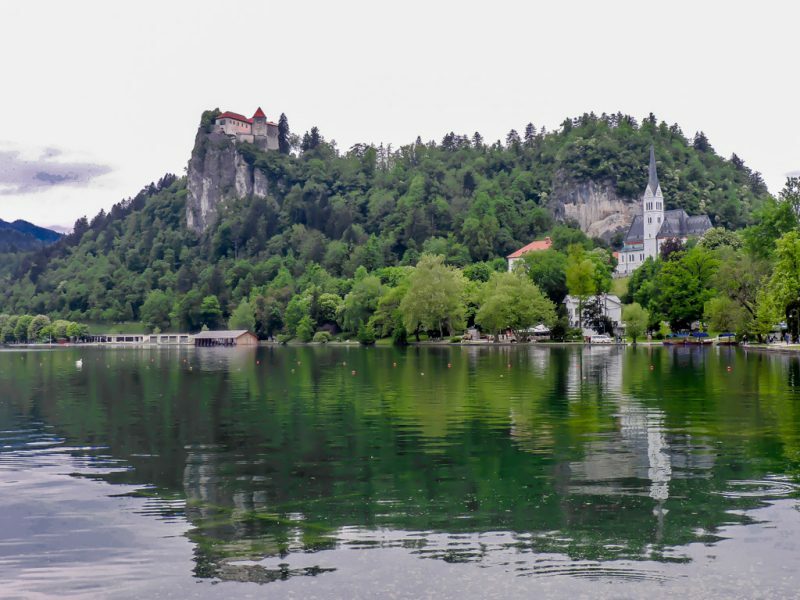 Lake Bled is the most visited destination in Slovenia. The blue waters of this sylvan lake appear like it changes color every hour. Perhaps, this is what makes it so captivating. You could just spend hours gazing at Lake Bled from sunrise right through to sunset. However, avoid visiting Lake Bled on the weekend as it can get unbelievably crowded. Board a traditional wooden boat and go rowing on Lake Bled. You can also go for a hike to Ojstrica and Osojnica for the most spectacular view of the lake.